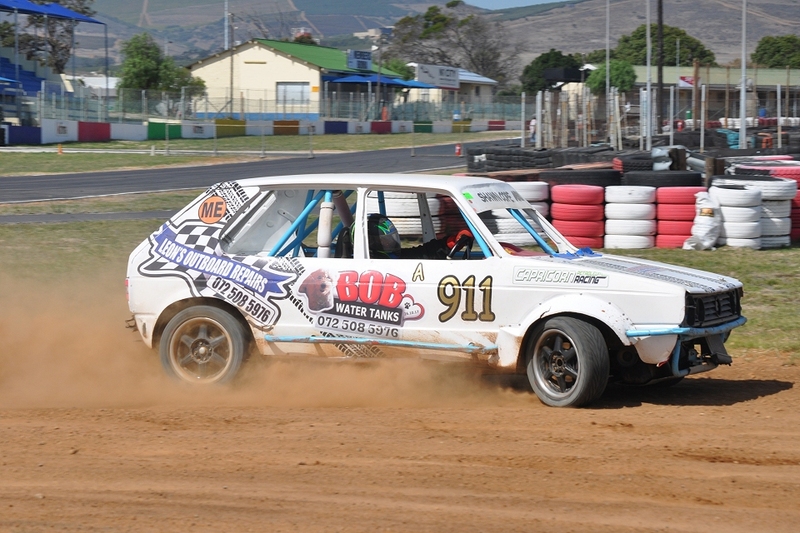 The first rallycross event of 2019 at Killarney International Raceway attracted a mixed bag of contestants, including Clubmans cars, stock cars, the BMW 3 Series luxury sedans of the E36 Group – and even a pipe car! The even was run over the full World Rallycross circuit, with the sole exception of the big jump; instead the track went into a sharp left turn immediately after leaving the tar at the exit of G-Energy Corner and jinked back onto the blacktop for a short run down to the tight, off-camber entry to the long right-hander inside the joker section – otherwise known as Rose Foundation Corner. And that nasty little left-hander proved just as treacherous for the local drivers as it did in November for the World Championship contenders; it was responsible for a number of spins and sent a least two cars into the wall between the dirt and the joker section. 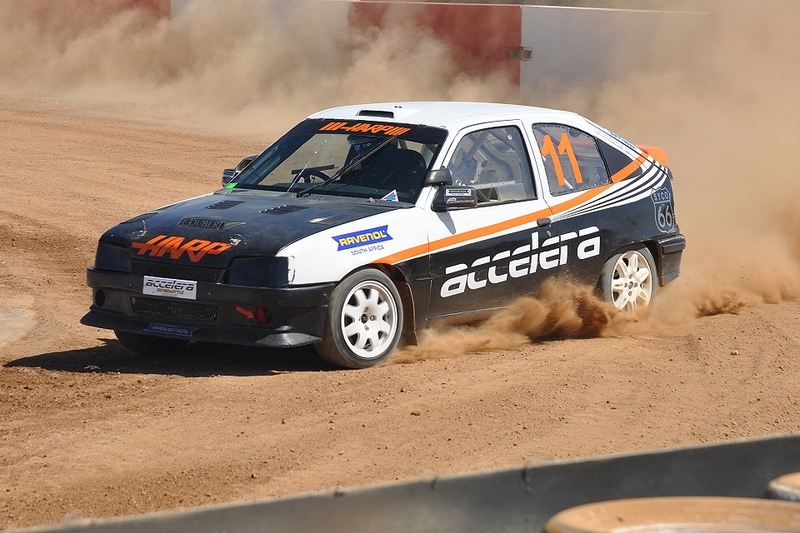 Rallycross may look pretty straightforward to rally drivers accustomed to long dirt stages out in the middle of nowhere, but the quick-fire four or six-lap format means the pace is intense right from the drop of the flag (there are no warm-up laps) so it’s flat out all the way – and the track surface in the dirt sections changes significantly from lap to lap. But the big surprise was that the big rear-wheel drive BMWs seemed to handle the conditions better than either the rally cars or the Clubman hatchbacks. Which may lead to a generation of Mad Max-like rear-wheel drive sleds with big straight-six engines, that which would be spectacular to watch – and hear! But that’s all speculation for the future; on the day, Steve Humble and his Harp Motorsport Kadett were worthy winners of the head-to-head final, followed home by Shawn Cope’s Volkswgen Golf stock car, Glen Phillips in an ex-Clubmans BMW E36 that’s been re-invented for rallies and rallycross, and Sean Kriel in a Daihatsu-engined pipe car that exhibited alarming amounts of body roll in the fast corners but managed to stay on its wheels throughout the day. 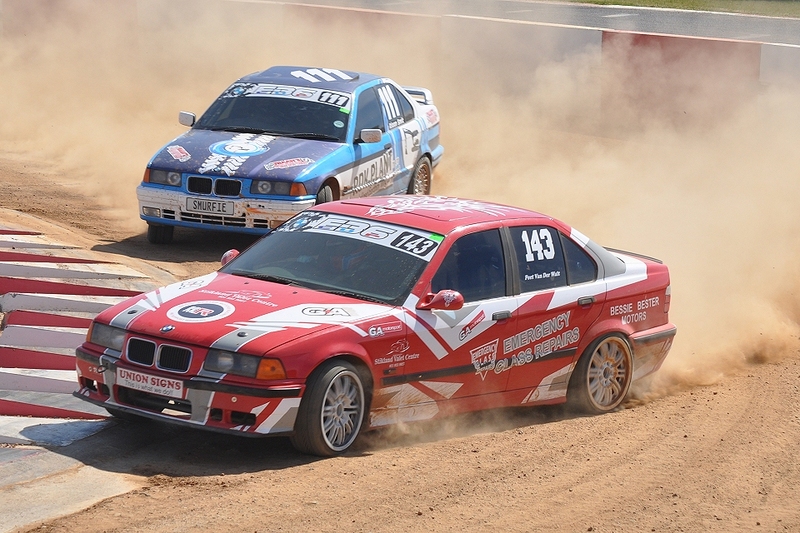 The E36 Class final was dominated by Peet van der Walt’s Emergency Glass 325, with Robby Ferroli a hard-fought second in the Superbody E36, followed home by Riaan Smit (RDK Plant) and Jacques Victor.